Thanks to Tom Salmon and his work at the Norfolk and Western Archives, we now have a copy of a rail map of Ralco. The town name on the map is called Raleco. The map itself dates from ~1917. 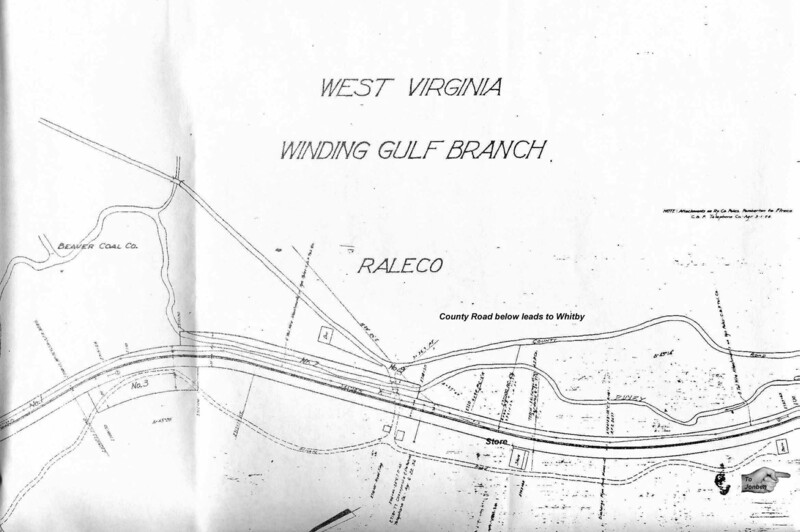 This map is very unique as the town of Ralco has also been called Raleco , Battleship and later in the 1950's West Whitby.